Deleted Footnote: For greater certainty, “another applicable law” means a law of the jurisdiction where the take or trade occurred and is only relevant to the question of whether the wild fauna and flora has been taken or traded in violation of that law. The deletion of these few words is the difference between cracking down on illegal logging and letting it flourish—and it’s a direct response to U.S. withdrawal from the TPP. 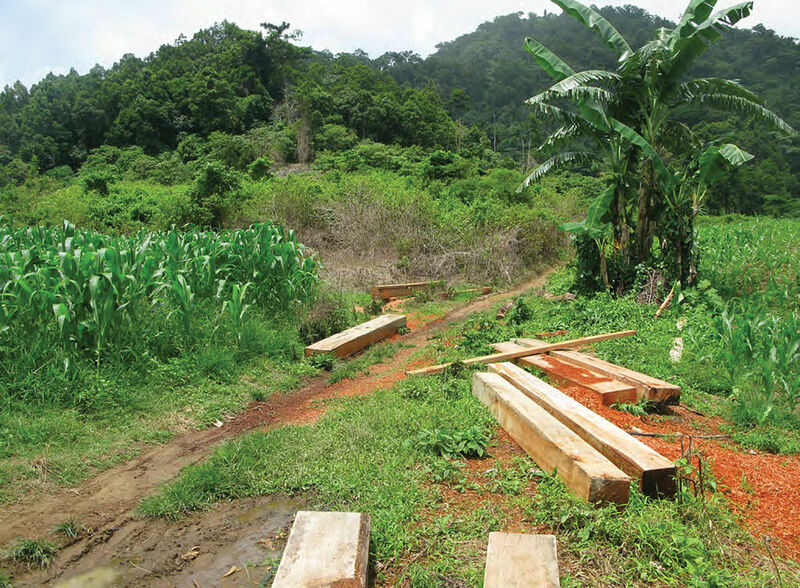 Illegal logging is a significant cause of forest degradation, a catalyst for deforestation and a major vector for corruption, conflict and poor governance. Illegally harvested and traded timber, mostly from the tropics, enters global supply chains leading to the United States, China and other major markets. It is big business: The Director of the UN Environment Program estimates that the value of this illegal trade dwarfs the value of all official development aid. Understanding why U.S. withdrawal from the TPP weakens anti-logging measures requires a bit of history. In 2008, the United States expanded a century-old anti-wildlife trafficking statute, the Lacey Act, to include timber. For the first time – in any country – it became a crime to import or possess forest products harvested or traded in violation of the laws of the product’s country of origin, which is often the case. Over the past decade, the Lacey Act has sent a strong signal through global timber supply chains that legal sourcing of wood matters. Analogous laws have since been enacted by the European Union and Australia, among others. At the outset, however, the Lacey timber measure was attacked by both tropical timber exporters and major U.S. trading partners like China and Indonesia, who argued that the law could restrict their trade and violate World Trade Organization rules. 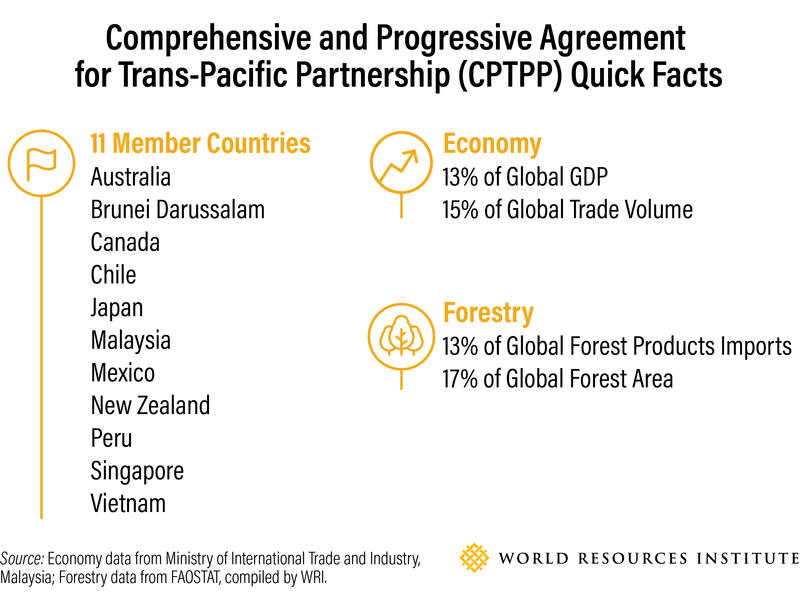 When TPP negotiations began in 2010, U.S. trade negotiators argued for language that would oblige signatories to mirror the Lacey Act amendment, restricting the trade of timber harvested in violation of signatories’ own laws or “another applicable law” (i.e. in the country where the take or trade of timber occurred.) U.S. negotiators saw such language as an effective rejoinder to WTO-based criticisms of the Lacey Act. The Obama administration also understood that it needed to demand strong language on environmental issues in order to sway skeptical Democrats and environmentalists to support the agreement. Behind the scenes, however, the United States was fighting a lonely battle. Chile, Malaysia, New Zealand and Vietnam opposed the U.S. “Lacey language.” It was only U.S. insistence that kept the provision in the agreement. It is thus not surprising that countries remaining in the TPP moved rapidly to eliminate the U.S. approach. Parties to the TPP are now free from any obligation to consider whether the timber they import was stolen or not, as long as their own domestic import paperwork requirements are satisfied. This is a major missed opportunity in the global effort to combat illegal logging, and reinforces the lack of attention to illegal logging in China’s own Asia-Pacific trade deal. And, perhaps surprisingly, combating illegal logging is a stated priority of the Trump administration. This unprecedented enforcement action demonstrates President Trump’s strong commitment to enforcing our trade agreements and ensuring that trade is fair to the American people. Illegal logging destroys the environment and undermines U.S. timber companies and American workers who are following the rules. We will continue to closely monitor Peru’s compliance with its obligations under our trade agreement. The United States has championed measures to fight illegal logging for many years, with bipartisan support, and the Lacey Act, as well as analogous laws in Australia and the European Union, remain in place. It is unfortunate that U.S. withdrawal from the TPP has allowed other nations to water down key anti-illegal logging language in the text. It may ultimately be the world’s forests—and the people who rely on them—who suffer.